We haven’t even embraced you, why do you have to go? Why Ella Grace, oh why? That life indeed is wonderful. Yes, definitely! Thank you Ella Grace, thank you. A heartbeat that was snuffed out, not long after it start. Your mom and I will look for you, there in heaven. We’ll see you, Ella Grace, we will see you. *For all of you who shared in our family’s joy and sorrow, thank you. ** Written for my unborn child whom we lost at 7 weeks of gestation. “We really don’t understand, but we submissively accept…” –faith keeps us burning, doc! … i’m sorry for the loss. Certainly our faith help us through the difficult experiences in this life. Thank you for your words of comfort. As your previous blog made me smile, your poem above made me teary and temporarily gave tingling and sniffle in my nose. 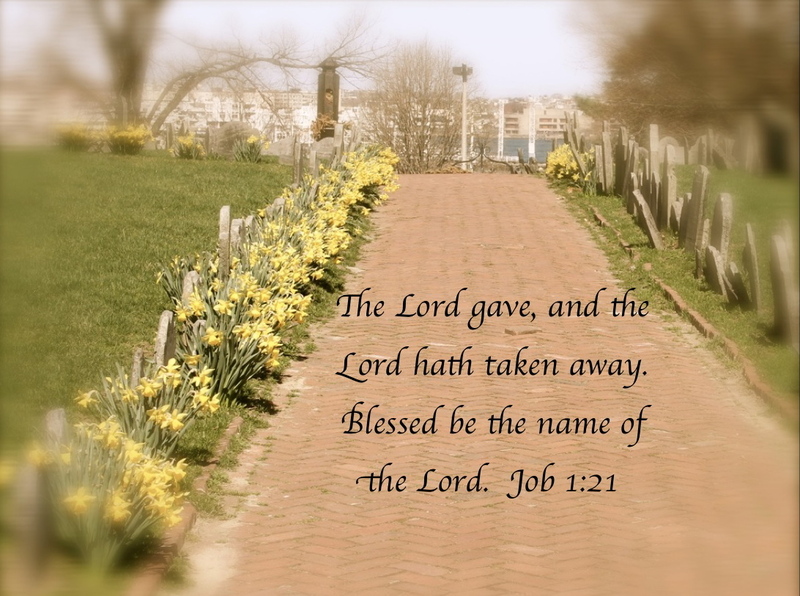 “The lord truly gave and the lord hath taken away. (No man can truly understand the wisdom and the depth of God’s love for mankind) He knows our joy and losses and He sorrows when we sorrow. I’m sorry to hear your loss. Thanks for your concern and for the comforting words. Oo, pangatlo dapat si Ella Grace. Salamat sa pakikiramay. I am so sorry to read about your loss! One can never reach the depths of a parent losing a child. I hope your wife is resting well and will heal both in body and spirit too. I too could have had more than one child. But it was not meant to be. We suffered through our loss too. That was 15 years ago. Thank you the comforting words. Truly losing someone that is “flesh of my flesh,” can be very devastating. My condolences. My prayers are for you and your family’s healing. It’s a nice poem. I’m sure Ella Grace loves this, wherever she is. So touching…my condolences for your loss. Thank you for your thoughts, and thank you for visiting. So sorry to learn about your baby. How’s Eva? Hope she’s okay now. I apologize coz I haven’t checked my facebook for quite sometime. Your family will always be in our prayers. Thanks for your thoughts and prayer Che. So sorry to hear about your loss, Amer, Eva. My condolences for your Family’s loss, Tito Amer. I will keep your family in my prayers. Thanks Kevin. You almost had another cousin.